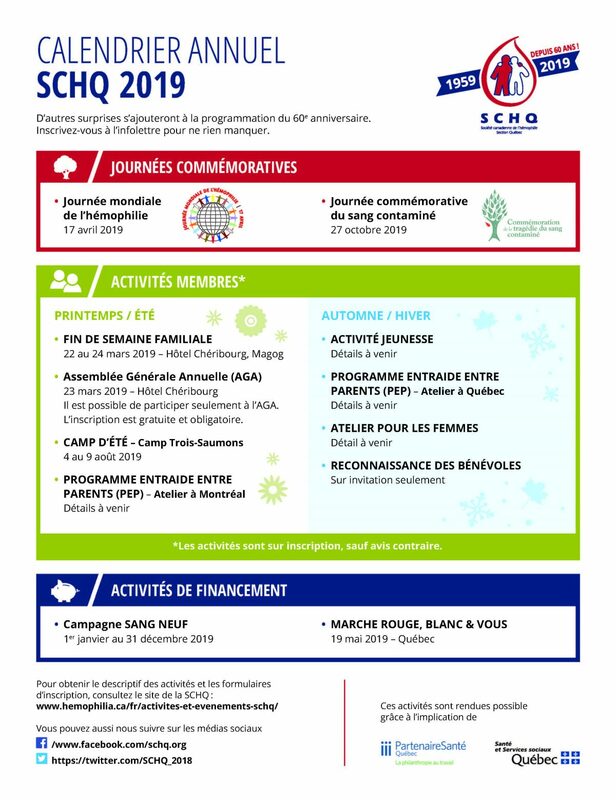 Events and activities of the Canadian Hemophilia Society – Quebec chapter (CHSQ). English version available on request. Contact us for more information. Printable French version available here.